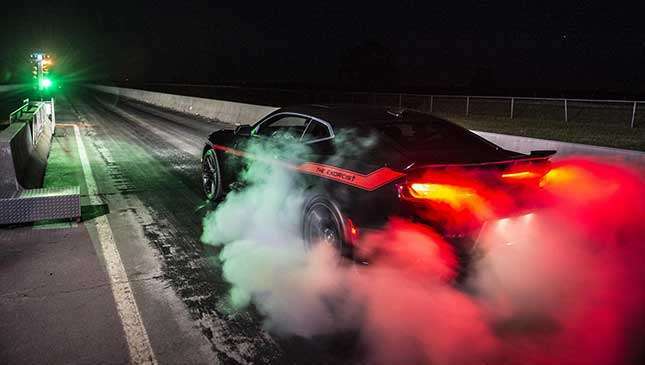 Next week, Dodge will unveil its long-awaited and achingly teased ‘Demon.’ The Hellcat’s big brother has the potential to be one of the maddest straight-line production cars in the world, and has us itching for the final spec sheet, as it’s set to be grab-the-strait-jacket-mad. 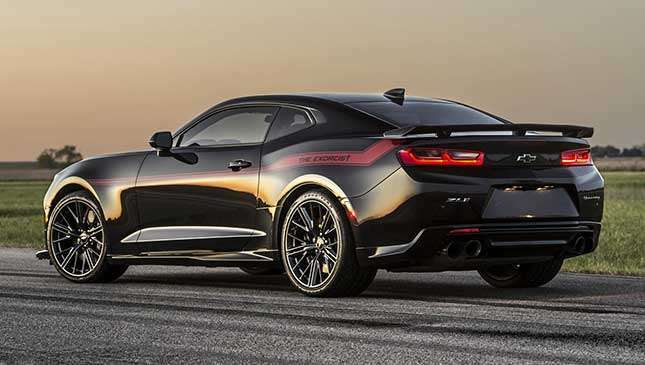 But before we can even see it, John Hennessey wants to rid the Demon…with horsepower. 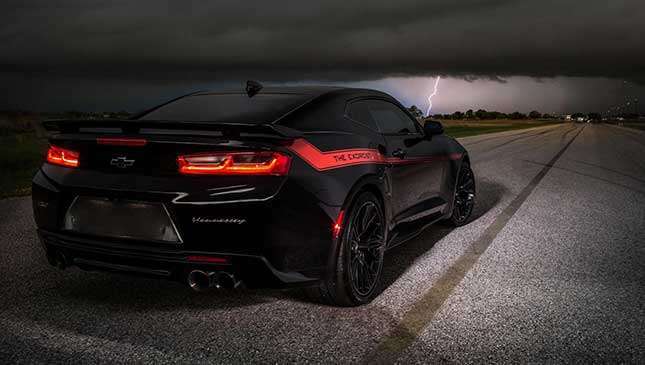 Meet ‘The Exorcist’, the Texan tuner’s 1,000hp Camaro ZL1, and Hennessey’s answer to Dodge’s Demon. 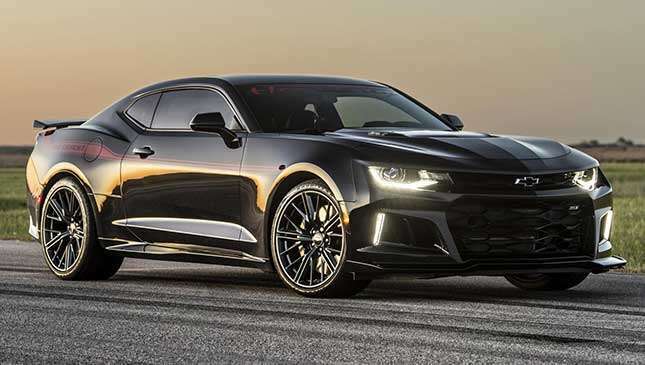 Using Chevrolet’s potty Camaro ZL1—nicknamed ‘The Hammer’—John and his team have gone to work on the same supercharged, 6.2-liter ‘LT4’ engine from the Corvette Z06 (that normally produces 640hp and 868Nm) and turned it all the way up to four figures. Yep, clog your right foot into the carpet and you’ll experience 1,000hp at 6,400rpm and 1,310Nm at 4,400 rpm. 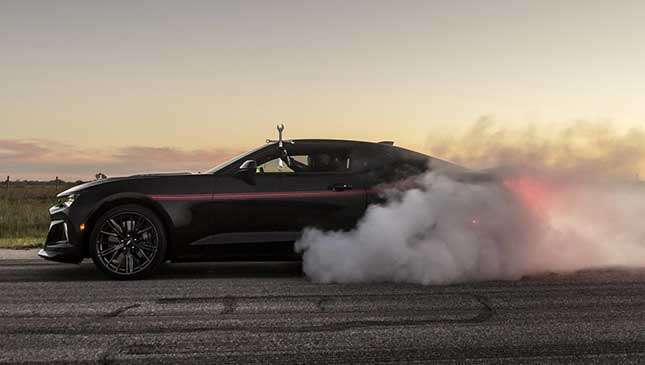 Best hold on tight, as when equipped with the optional drag radial tires, The Exorcist will see off 0-100kph in under three seconds and tramp the quarter-mile in less than 10. Dom Toretto would be a fan of that. 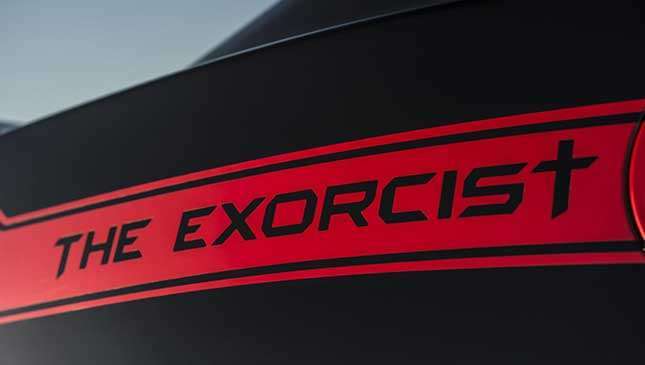 Like the standard car, The Exorcist is available as either a six-speed manual or 10-speed automatic. Yes, 10. But two-pedal donor cars require a transmission upgrade to handle all that extra grunt, which comes to the tune of $9,950 (P499,000). That’s on top of the 1,000hp engine upgrade and graphics, which total $55,000 (P2.76 million). 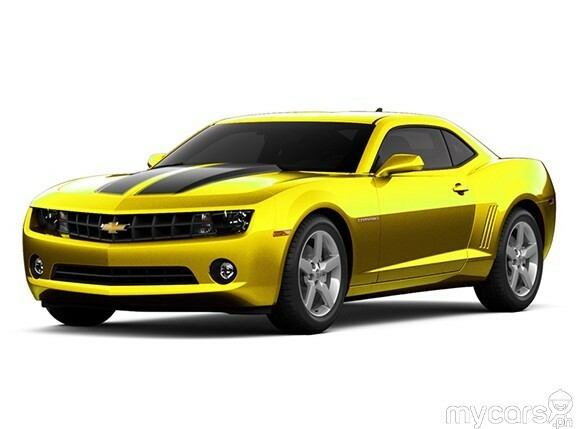 If you don’t have a ZL1 already, don’t worry. You can buy a base Exorcist from John for $119,000 (P5.97 million). Then there are the options. The ‘Drag Pack’ features a pair of optional 20-inch wheels with sticky 315/30-20 Nitto drag radial tires, a drive shaft upgrade, floor jack and tool kit. 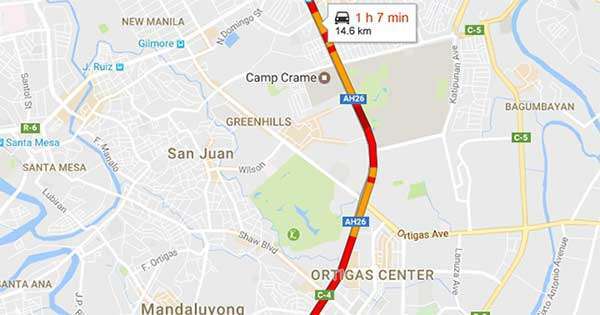 That’ll be $8,995 (P450,000). Then there is the optional ‘Road Race Pack’ featuring 20-inch lightweight Hennessey wheels with Michelin Pilot Sport Cup 2s. That’ll be $6,995 (P350,000), please. 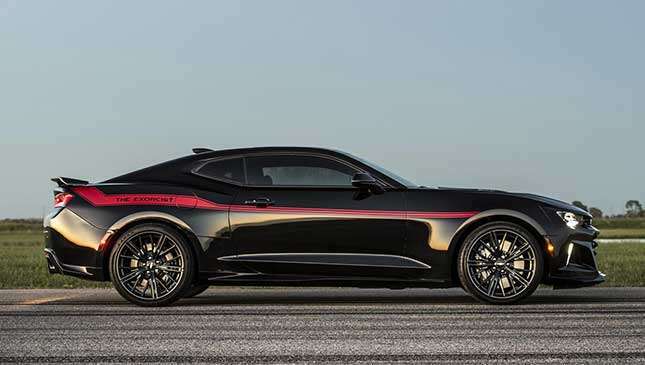 From what we know so far, the Dodge Demon will have a drag-race-specific suspension tune, the largest ever functional hood scoop, a significantly larger air box than the Hellcat, not one but two Air Catcher headlights, and super sticky street-legal drag radials with a 15% larger contact patch than the Hellcat. It’ll sound berserk thanks to its new torque reserve launch system. "The Exorcist is not just a quarter-mile racer," John says. 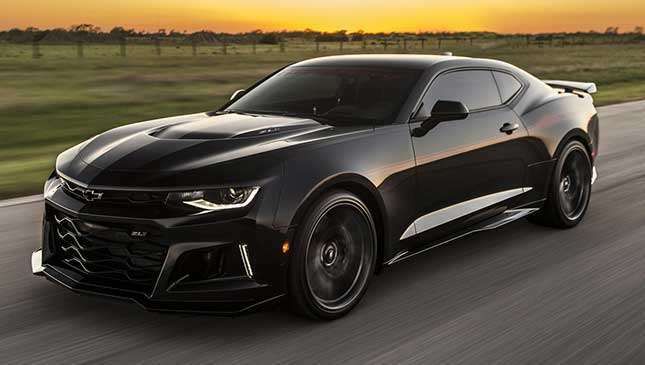 "It’s a well-rounded super muscle car that is just as happy on a road course as it is on the dragstrip and street. Needless to say, this will leave the competition’s heads spinning." We can’t wait to try it. Dodge Demon, be afraid. Tires, be petrified.